just so no one else can have it. and I’m proud to reveal its cover! It SO picks up on the theme of the Past Life Series, doesn’t it? Want to know more about COVET? COVET releases on May 27. 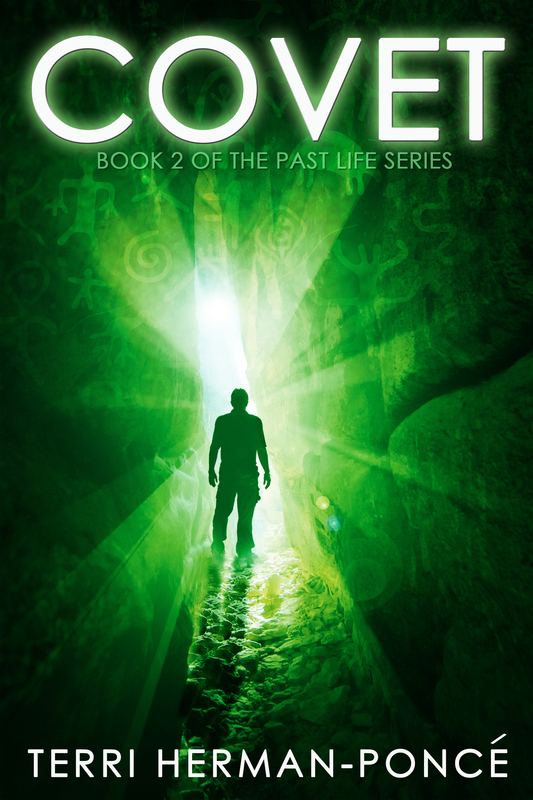 Start reading the Past Life Series here. Blatant promotion: GS Prendergast from Cover Your Dreams created another outstanding cover. There aren’t enough words to say how wonderful and easy it is to work with her. This entry was posted in Stories Behind The Stories and tagged Cover Your Dreams, COVET, David Bellotti, G.S. Prendergast, Lottie Morgan, paleolithic, Past Life series, reincarnation, stone age, Terri Herman, Terri Herman-Ponce, Terri Ponce. Bookmark the permalink. These are awesome, Terri. I love how you’ve got Lottie and now David shown in such a dramatic way. Your branding is spot on. Thanks Tara! I’m SO digging it too. Congrats – that’s an awesome cover!